Make yourself at home in one of the 35 air-conditioned rooms featuring flat-screen televisions. Complimentary wireless Internet access keeps you connected, and cable programming is available for your entertainment. Private bathrooms with showers feature complimentary toiletries and slippers. Conveniences include phones, as well as desks and complimentary bottled water. Make yourself at home in one of the 10 air-conditioned rooms featuring flat-screen televisions. Complimentary wireless Internet access is available to keep you connected. Bathrooms with showers are provided. Take advantage of the hotel's room service (during limited hours). Buffet breakfasts are available daily from 6 AM to 10 AM for a fee. Satisfy your appetite for lunch or dinner at Kayu Manis, a restaurant which specializes in international cuisine, or stay in and take advantage of the 24-hour room service. Quench your thirst with your favorite drink at the poolside bar. Featured amenities include complimentary newspapers in the lobby, dry cleaning/laundry services, and luggage storage. A roundtrip airport shuttle is complimentary (available 24 hours). Relax at the full-service spa, where you can enjoy massages, body treatments, and facials. You can take advantage of recreational amenities such as an outdoor pool, a sauna, and a fitness center. Additional features at this hotel include complimentary wireless Internet access, concierge services, and wedding services. With a stay at Kulem Cisitu in Bandung (Coblong), you'll be within a 15-minute drive of Jalan Cihampelas and Bandung Institute of Technology (ITB). 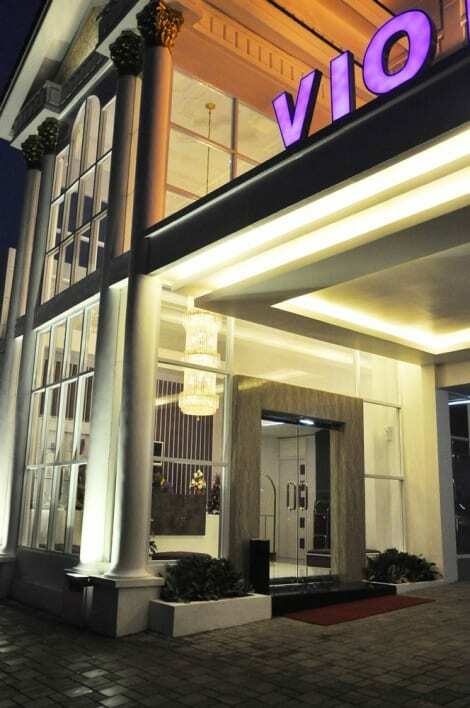 This apartment is 5.5 mi (8.8 km) from Trans Studio Bandung and 2.5 mi (4.1 km) from Cihampelas Walk. With a stay at G.H. 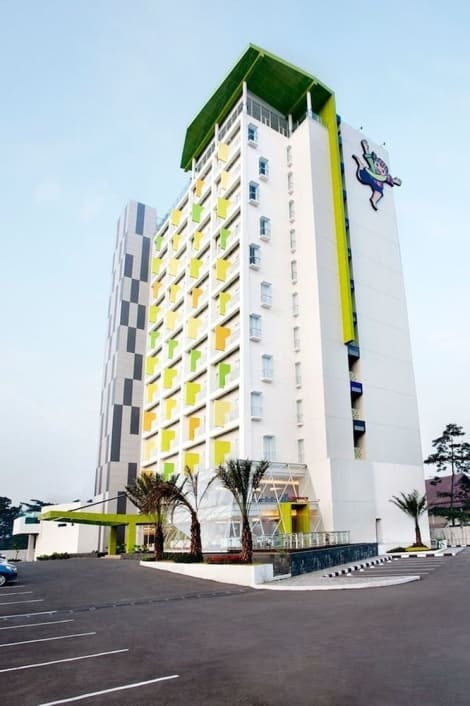 Universal Hotel in Bandung, you'll be 2.7 mi (4.4 km) from Rumah Mode Factory Outlet and 3.5 mi (5.7 km) from Bosscha Observatorium. 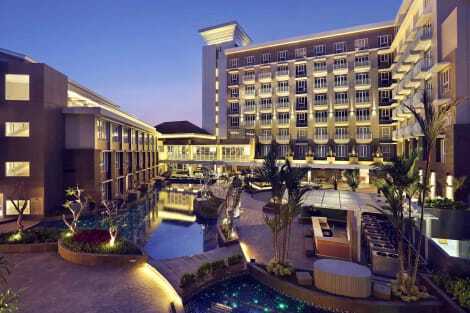 This 4.5-star hotel is 7.6 mi (12.2 km) from Maribaya Waterfalls. lastminute.com has a fantastic range of hotels in Bandung, with everything from cheap hotels to luxurious five star accommodation available. 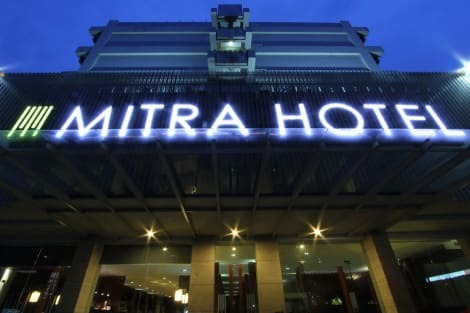 We like to live up to our last minute name so remember you can book any one of our excellent Bandung hotels up until midnight and stay the same night.